Altreonic presented its KURT e-vehicle for urban mobility at the City Car Summit in Berlin. 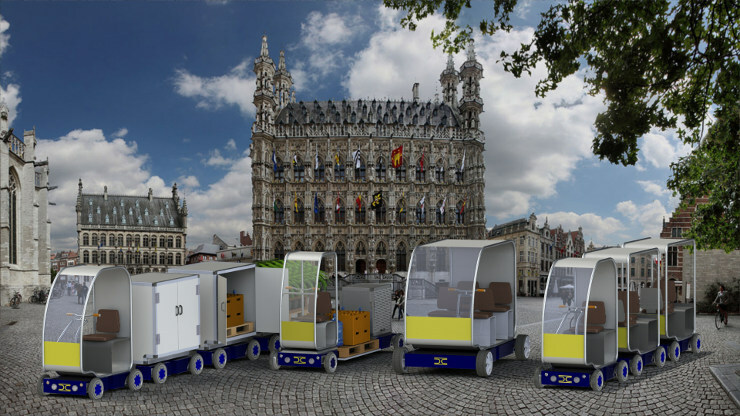 The KURT concept is an enabling solution for urban mobility by its modular and scalable design. It takes into account many of the issues with existing electric vehicles by a radical design concept that takes the benefits offered by electric propulsion into account from the very beginning. The result is an astonishing new type of Light Electric Vehicle that covers multiple classes in the L category. More information on the City Car Summit 2016 website. Altreonic will discuss under the topic "Mobility as a Service: what does it mean?". Mobility as a Service is often mentioned as the next step on the Mobility roadmap. This is often interpreted as a providing additional services to an existing mobility and transport infrastructure. We argue that this might not be enough to reach the next step. We should define it as a next level of Quality (QoS) in the exercise of our Mobility needs. In this short presentation we explore the idea of applying the principles of packet switching to filling in the mobility needs, especially in the context of sustainable urban mobility whereby electrification goes hand in hand with taking another look at how a vehicle is developed, used and supplied with energy. Many of you expect to receive my annual poem at the year's transition. I must admit, becoming a poet once per year is getting harder. I guess our brain evolves eliminating gradually the free-form associations, our life experience patterns taking over. Nevertheless, for those who prefer to skip the next philosophical ramblings, I still managed to write a short one. This being said, best wishes for an inspiring new year! 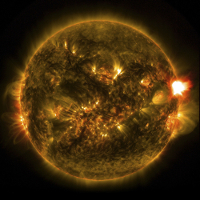 (The sun's energy and carbon, source of all life). Remote monitoring and fleet management of the KURT vehicle. Developing the KURT vehicle has resulted also into a number of significant enhancements to Altreonic's supporting tools. The KURT controller software runs on the VirtuosoNext RTOS. To enhance safety and security, all Tasks and memory regions are protected from each other, yet it runs on a modest ARM M-series controller with little memory. As VirtuosoNext is a distributed operating system, the application runs replicated on the four controlling nodes of the KURT self-propelled platform. The GoedelWorks platform is used to keep track of all engineering data in a traceable way. 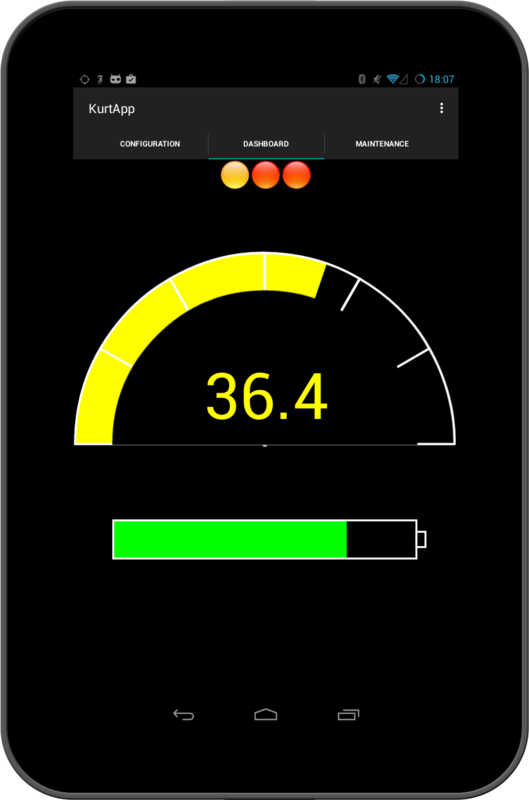 In line with the methodology, the KURT vehicle can also be remotely monitored through a smartphone or mini-tablet (that functions as driver's vehicle dashboard). A few decades ago, telecom and internet spawned a new and disruptive socio-economic wave by bringing the marginal cost of communication and information sharing close to zero. This was largely made possible by a switch from circuit-switching to packet-switching networks. Information as well as voice and video is chopped up in small packets and flows over dynamically changing virtual highways and no longer over fixed wires. How can the key learnings from this revolution be applied to Mobility as a Service? 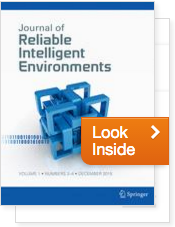 Altreonic was invited to submit an article in a special issue of the Springer Journal of Reliable Intelligent Environments. In the article with as title "Antifragility: systems engineering at its best", we discuss the ARRL (Assured Reliability and resileience Level" criterion at length. From the magazine editorial by Vincenzo de Florio: "In “Antifragility: systems engineering at its best”, Eric Verhulst, Bernhard Sputh, and Pieter Van Schaik discuss the Assured Reliability and Resilience Level (ARRL), a novel criterion that allows system components to be reused in a normative way while preserving the safety integrity level at the system level. ARRL complements the Safety Integrity Level and defines seven levels of which the highest one can be described as the level where the system becomes antifragile. Each level is illustrated and exemplified. It is shown how the features and the general character of ARRL translate into a promising approach for achieving safety across different domains and systems". Further information can be found in the Gödel Series booklet. Altreonic is proud to announce the release of the version 1.1 of VirtuosoNext™, its high level yet very performant design and programming solution for trustworthy systems development. VirtuosoNext is derived from the formally developed network-centric and distributed OpenComRTOS who’s functionality is inherited. VirtuosoNext adds the capability to apply fine-grain time and space partitioning when the hardware supports it. VirtuosoNext provides safety measures to trap runtime errors without the system coming to a halt. The approach separates the code in a trusted zone (managed by the VirtuosoNext kernel) and an untrusted zone (executing application tasks). Contrary to traditional hypervisor approaches, the code size and performance penalty is minimal safeguarding the real-time response of a traditionally unprotected RTOS as standard priority based preemptive scheduling is maintained. VirtuosoNext (protected mode) was initially disclosed in April 2015 This new release has also restructured the code resulting in even lower code sizes. On the ARM-M3, the VirtuosoNext kernel measures between 8 to 11.5 Kbytes. On the ARM A9, the kernel measures between 15 to 22 Kbytes. Supported processors are ARM M3/M4/R4/R5 and the A7/A9/A15 processor family. The user has the option to enable the protection on specified processing nodes in his distributed or manycore target system. VirtuosoNext 1.1 will hence on make the previous and stable OpenComRTOS v.1.6 superseded as its functionality is integrated. The new services and improvements added with VirtuosoNext v.1.1 can be consulted in the attached files. Altreonic is proud to announce the release of the version 3.0 of GoedelWorks™, its unique end-to-end portal solution for trustworthy systems development. This new version improves the performance and stability of the whole platform and it introduces many new features that ease repetitive tasks. It also improves existing functionalities. Some of the new features are the outcome of an RTOS Qualification Package project. GoedelWorks is now even more intuitive and productive in use than before. The GoedelWorks platform running on the central server has also been updated to make use of the latest stable, production-ready technologies. Revising the entire platform has resulted in a cleaner and easier to maintain environment. Starting 1st September, GoedelWorks is not only available under an Open Technology Licensing scheme but users can also access their portal under a SaaS model. Contact Altreonic for details. The technical details about the novelties offered with this latest GoedelWorks are available in the attached public announcement. A full description of the latest GoedelWorks environment is available in Altreonic’s updated booklet “Trustworthy Systems Engineering with GoedelWorks 3”. It can be freely downloaded from the download section.